She felt neglected. I had to give her a sop. Thank you very much for your nice comments. I'd say that each of you is a treasured aunt, aren't you? So bright against the doily. The scissors should be happy! 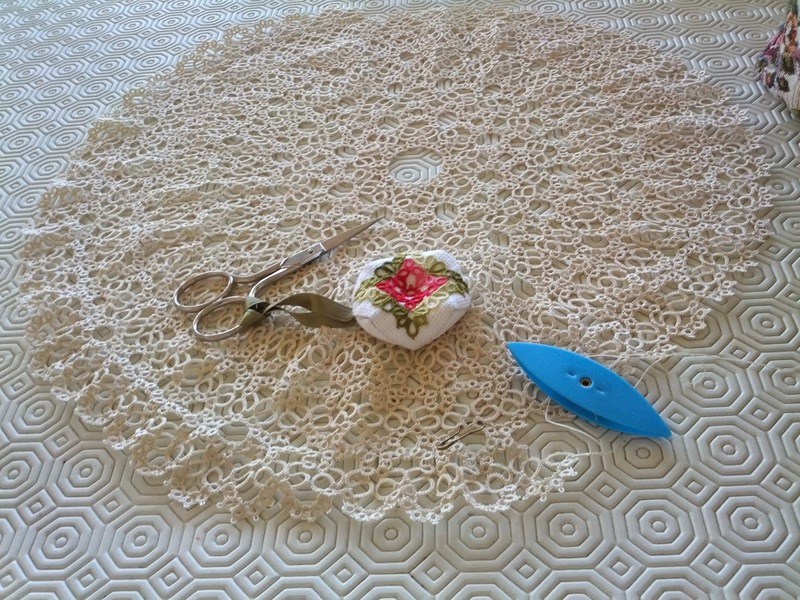 wow another great picture that doily is big and done so well, and love the scissors too! The doily will be fine-I mean it will lay flat. You are a fairy Godmother, Ninetta!